Cam, Stacy and Ty: Congratulations!!! 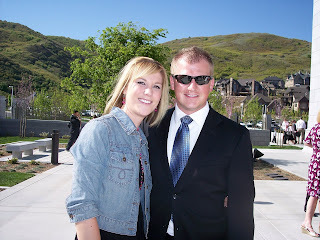 Check out our adoption profile by clicking on our picture or by visiting www.itsaboutlove.org and search Cameron and Stacy from Utah! 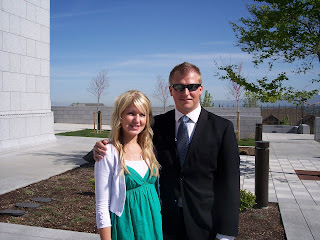 Cameron and I were married December 28, 2007. 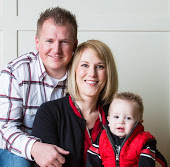 I am working as a nurse on the pediatric and NICU floors at Utah Valley Regional Medical Center. I love it!! Cameron is really busy working full-time as a patrol sergeant for a local police department where he is also assigned to the SWAT team. He also works in a local emergency room as as an EMT is currently in a graduate program pursuing his masters degree in public administration! Ty is our laid-back, content little guy! He loves to hang out with mom and dad! He also loves being outside running around, playing with other kids, and making mom and dad laugh!! Saturday was an exciting day! 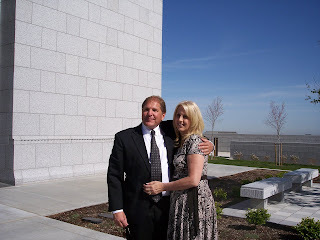 Cameron's dad Mike and his step-mom Melodee were sealed in the Draper temple. 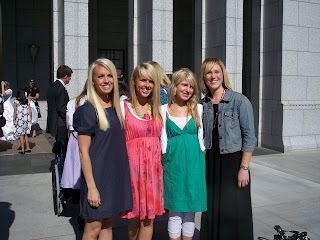 There is nothing like being in the temple with lots of family members. After the temple we went to breakfast at IHOP. It was yummy. 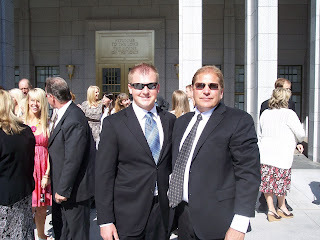 Here are pictures at the temple. Congratulaions Mike and Melodee!!!! That is so neat! 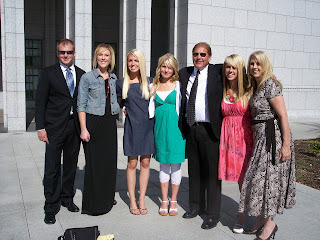 And I agree there is nothing like being in the temple with your family, it is the best! We went to the Draper temple opened house in January, its a beautiful temple. Congrats to Cam's parents. That is wonderful. Now, for some further business. What in the heck have you been up to? We didn't follow through with our long lost dinner and now it has been MONTHS since I have seen you! 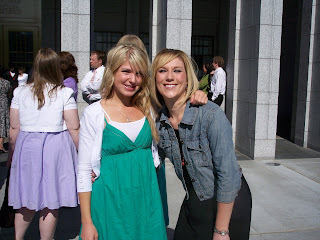 If we don't get together for some great old times, it is going to be YEARS before we see eachother!! Come on- We can conqour these schedules. We won't let them get the best of us. That's a good day!! 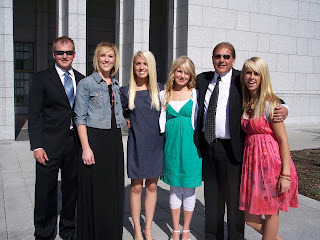 I'm glad you posted pics - it's fun to see relatives. 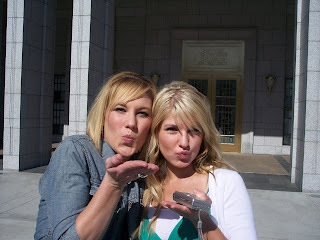 In answer to your question, yes we are going to the reunion this year. We are excited.